Forrester Research predicts that companies will be able to connect nearly all products and machines by 2020 with sensors, smarter products and devices allowing customers to truly access anything, from anywhere, anytime. In the age of connected customers, personalisation is the future of experience. 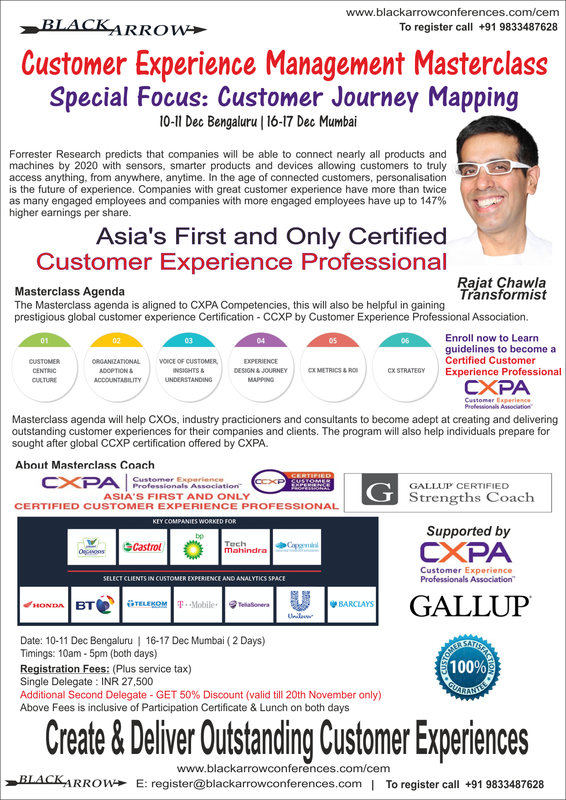 Masterclass will help CXOs, industry practitioners and consultants to become adept at creating and delivering outstanding customer experiences for their companies and clients. This Customer Experience Engagement masterclass will help individuals to incorporate CXPA competencies into their daily client and employee engagements.